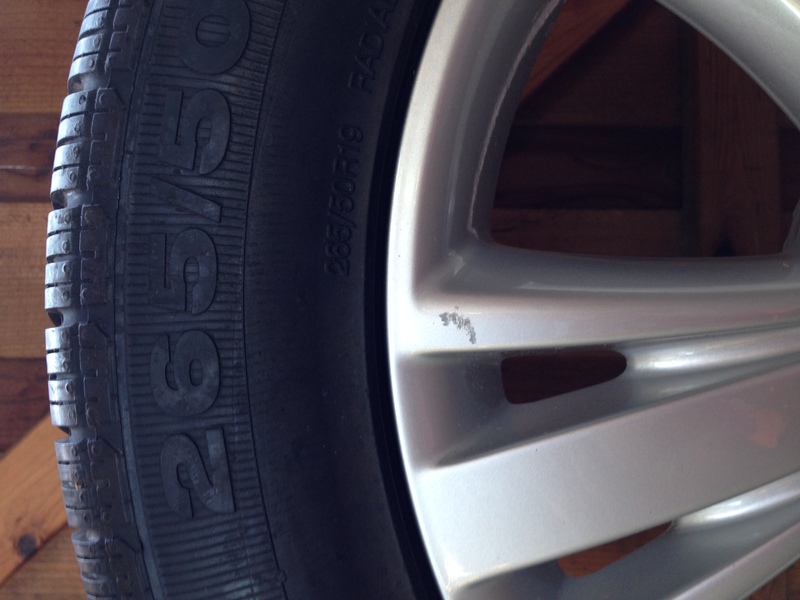 I'm selling the original set of 4 wheels and tires from my 2011 Q7. 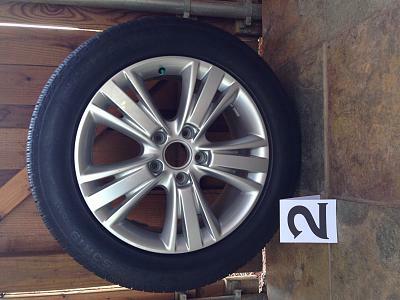 I upgraded the wheels as soon as I took delivery in May 2011. 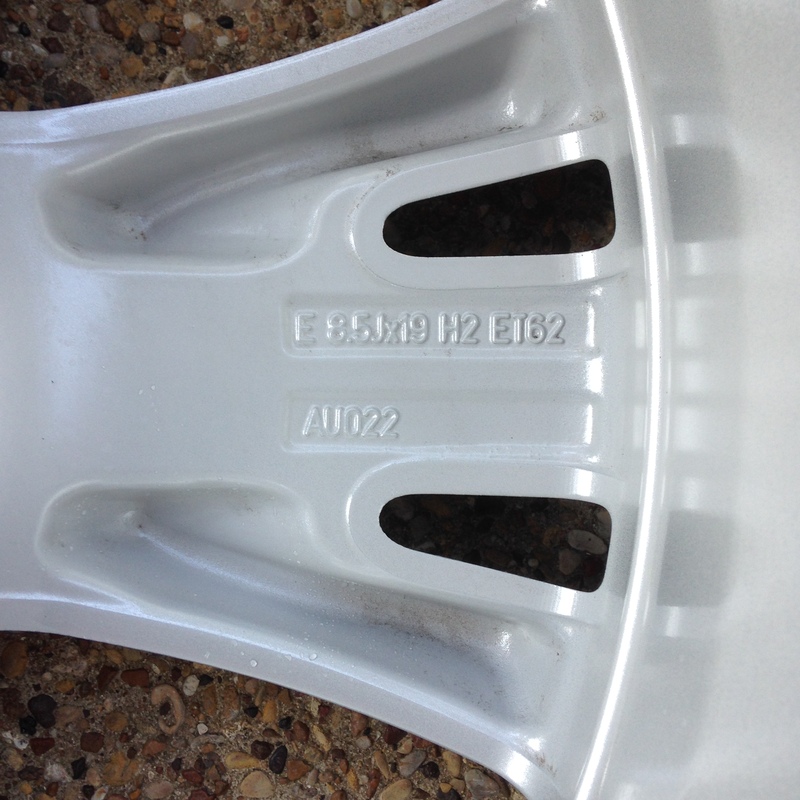 The wheels are original Audi E 8.5J x 19 H2 ET62. 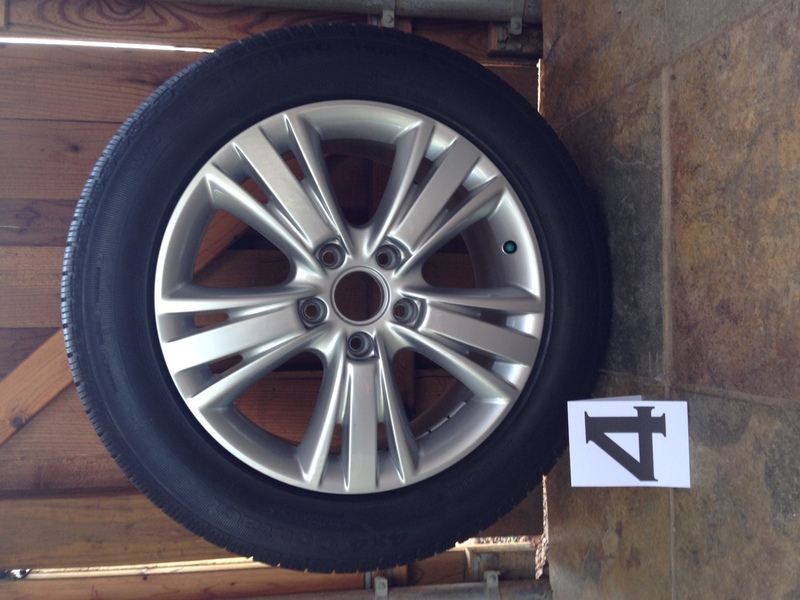 The tires are also the original Continental M+S 4X4 Contact 265/50-19 110H from the factory. 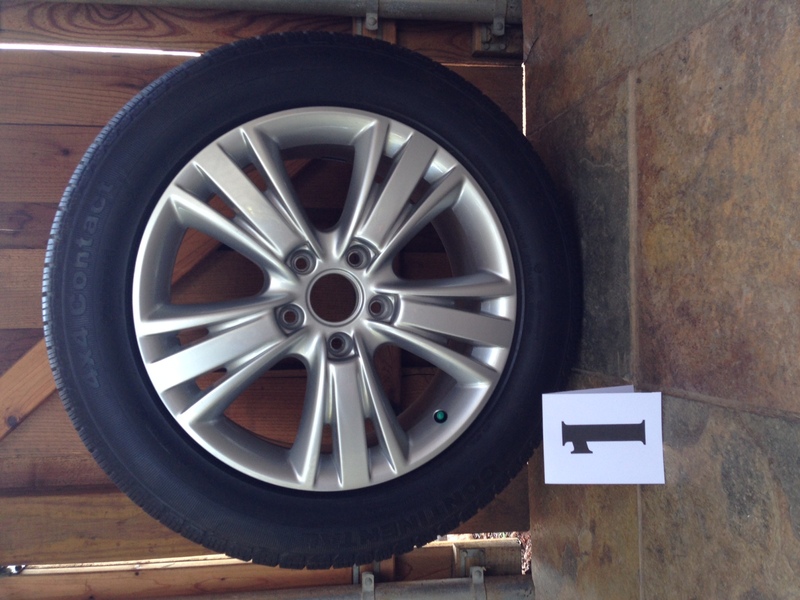 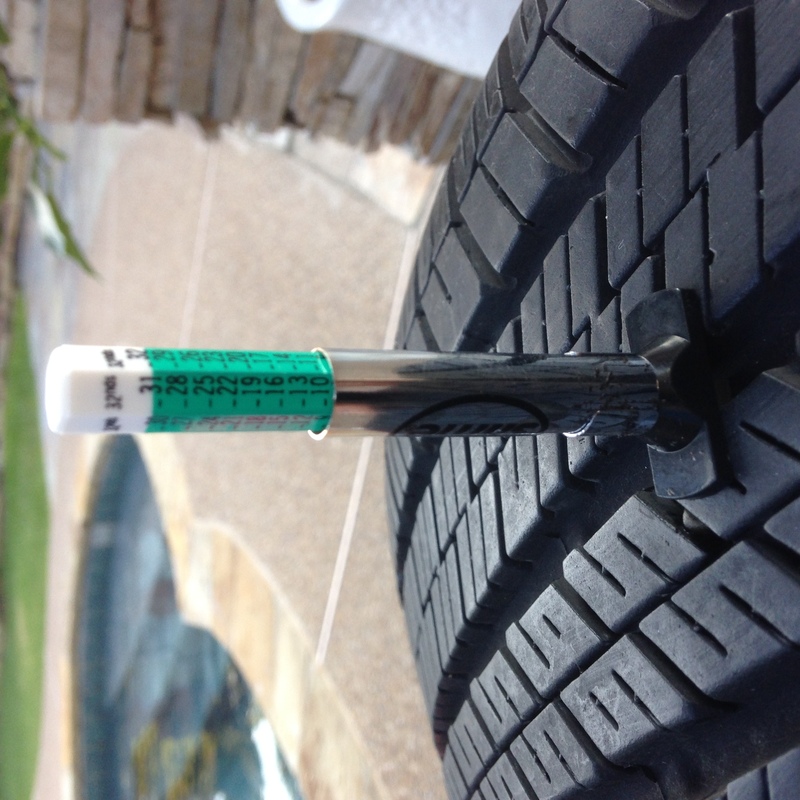 The wheels and tires have approximately 800 miles on them. 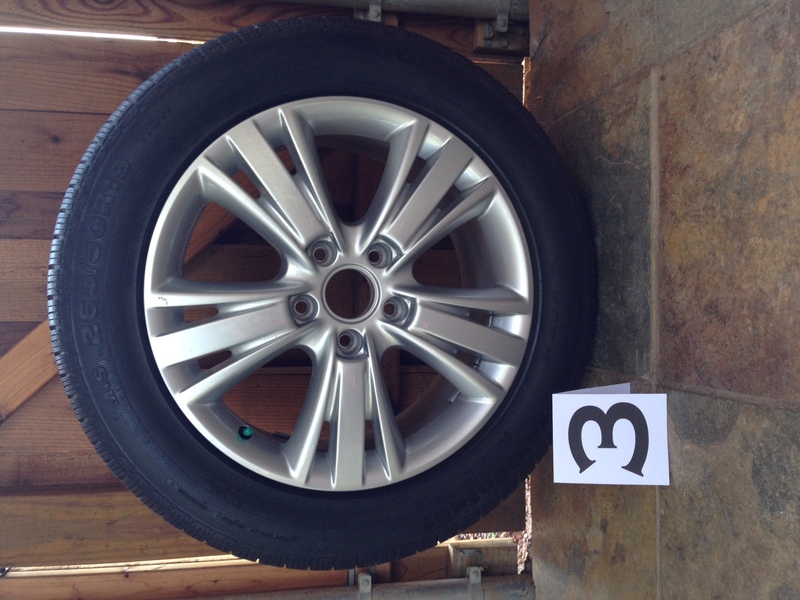 Aside from one small surface blemish on one wheel (#3), all the wheels and tires are in excellent condition. They've been covered and stored in my garage since we took them off the car in 2011. The tires currently cost $298/each on Tirerack.com. I'm asking $1300, shipping included (Continental US ONLY). Paypal is preferred.